Red Pulse ICO: Red Pulse intends to employ the $RPX cryptocurrency as a mechanism to fairly and directly incentivize research producers for their works while providing research consumers with a mechanism to guide research coverage and provide fair compensation. In today’s information age, there is no shortage of market data and financial research. Yet, due to historically entrenched market dynamics, the economics of financial research production and distribution are dominated by only a few gatekeepers. This prevents independent analysts from having a voice, while research consumers are forced to accept whatever coverage is already available. What market participants truly need is context – providing relevance in addition to scale and the ability to generate insight. Broken Ecosystem: The research content ecosystem as it currently exists is broken. The economics of the research business has become dominated by a few key players in content production (sell-side research) and content distribution (major financial terminals). Smaller and independent research producers lose, as do all financial institutions, both large and small. Lack of Information Accuracy and Transparency: While sources of information on China’s financial markets and industries abound, the lack information accuracy and transparency create trust issues around who and what to trust amongst all the noise. Information Overload: China’s accelerated uptake of mobile and internet connectivity has now not only become ubiquitous, but well more than what an average analyst can humanly process or continually monitor effectively. Red Pulse addresses the above opportunities by creating a groundbreaking research content platform that simplifies incentives and directly compensates research producers for their valuable insights while ensuring research consumers can access the research that is most relevant to them. Independent analysts and market commentators can now contribute their ideas and insights on an ad-hoc basis, and be compensated accordingly. RPX coin is the underlying currency used to facilitate the ecosystem and provides token holders with direct participation in the rise of China’s economy. 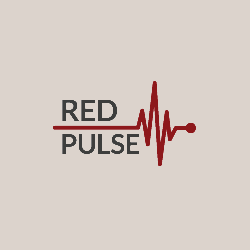 Red Pulse already has an operational research content platform at www.red-pulse.com and an iOS mobile app (https://itunes.apple.com/us/app/red-pulse/id492320787), focusing on China’s markets and economy from an event-driven perspective. Current clients include major investment banks, asset managers, central banks, sovereign wealth funds, exchanges, and other institutional investors, validating Red Pulse platform and value proposition of providing timely and relevant market intelligence on China. By capturing major macroeconomic, regulatory, corporate action, and M&A and cross-border events there is potential for significant impact to specific companies, industries, or the economy at large and market insight to be gained. To date, the platform is built only for our internal employees to generate and publish content to clients. The intent is to transform this into an open research platform, with the RPX cryptocurrency as its monetization mechanism. Red Pulse can maintain quality by providing editorial oversight of the platform structure, administering a fair and transparent incentivization system, and vetting and approving select research producers as expert-level contributors. Total RPX Circulation at end of Token Sale depends on the USD/NEO rate 1 hour before the token sale, and the amount raised in NEO at each bonus stage (see below). Note: Employee allocation of RPX will have a vesting period of 12 months, 25% vesting each quarter, with a 6-month cliff. The allocation will be proportional to the tenure of each employee by the date of token sale.